While a person who owns a large collection of Daleks and doesn’t particularly like the Doctor sounds an awful lot like next season’s main villain, the Guinness Book of World records nonetheless assures us that it is true. 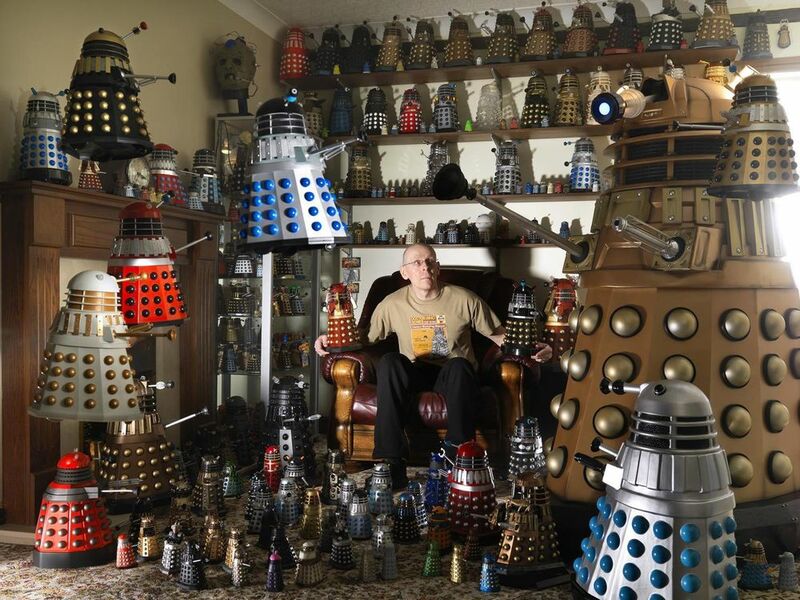 Rob Hull is a 49-year-old South-Yorkshireman who owns five hundred and seventy one model Daleks, but he doesn’t watch Doctor Who. Mr Hull said: “I’ve never been a fan of the show, but I have been enchanted by the Daleks ever since I saw one in a toy store as a child. He bought his first Dalek when he was twenty-nine. We can only assume that she’s watched the show. Here’s the whole picture that we cropped the top pic from, courtesy of the 2012 Guinness Book of World Records.